Most people in the market for a three person tent are looking for a more space than a two man tent can offer. In the past, the extra space came at the cost of more weight and more bulk. But these days modern materials mean that the difference between the average 2 person tent and the best 3 person tents can be fairly minimal (we're sometimes talking extra ounces instead of extra lbs). So if you're looking for a slightly more comfortable camping experience with more space for gear, more headroom or if you are fed up of being squished against the side of smaller tents, read on! Why do people buy 3 person tents? What to look for in a 3 person tent? Where Do I Buy 3-Person Camping Tents? The light weight of the Zephyr and its quick setup are two of its best features. The light weight makes it easy to pack and carry to a campsite, whether you are backpacking or car camping. This tent can be set up in about five minutes as well. Along with those two features, the sloping roof of this tent gives a little extra headroom for being able to sit up and move around as well. The Zephyr is a little small for a true three person tent if one or more of the three persons sleeping in it is larger framed or over six feet tall. In addition, the fly might pool water and the vestibule is a little bit too small to truly keep your stored gear out of the weather. You need a lighter weight backpacking tent for three averaged sized persons or need a little extra space for two. You might not be happy trying to sleep two or three larger framed individuals inside the this tent. This is a true backpacker’s tent for those who tend to go well off the beaten path to camp. Its simplicity in design and setup make it ideal for quick setup in less than ideal conditions. Its space works very well with two average sized adults and a child or to give a little more space to two larger framed adults. This tent also has entrances on two different sides for a little added convenience if one person should need to get up in the night. It is a little tight for three persons if one or more of them are larger framed or taller than six feet. The air circulation leaves a little something to be desired and can be a little bit muggy for warm weather camping. In addition, its durability might be called into question. You need to lighten the weight in your pack for longer distance camping off the beaten path, but still need to provide shelter for 2 or 3 persons. You might feel that it is a little tight for larger framed adults. For the added space of this tent, it really does not add a lot of extra weight. It is not too bad to pack and it is a quick and easy setup. It is well designed and has the durability to last a good while. The fly on this tent can be set up to provide more ventilation in warm weather camping or brought in tighter to keep in its warmth. The dimensions of this tent make it a little bit larger for the two fiberglass poles used in its frame and should probably be upgraded to aluminum for some added stability. It is a little bit too heavy for backpacking deeper into the wilderness. You are a pretty regular car camper who needs the extra durability this tent provides and spend a little extra cash for aluminum poles. You probably won’t be happy if you are looking for a backpacking tent because it is a bit too heavy. The easy setup and durability of the Naturehike, as well as its lighter weight are features that might attract your attention. This tent does well in cool weather as you might expect from a 4 season tent. It can be easily set up by one person and is durable for those who make multiple camping trips throughout the year. Being one of the lighter 3 person tents, it can be used as a backpacking tent in a pinch. The space in this tent is a little bit tight for a three person tent. A person of six feet tall will have both head and feet against the fabric of the tent during the night. Ventilation can also be a problem with this tent and it does not do well under heavy rain conditions. You want a tent for car camping and occasional backpacking and need a little bit more space than your typical 2 person tent. You might not be happy if one or more of the persons using this tent are over six feet tall. The construction and design of this tent make it easy to set up and also make it durable for the more intense weather conditions encountered with 4 season camping. It sheds heavy snow well without collapsing and keeps you nice and warm in winter conditions. It is an easy and quick setup, which will get you out of the weather faster. Though this is a pop up tent, it is a little bit too hot for warmer weather camping unless it is pitched in the shade during the day to keep the heat from building up. The entrance door and vestibule overhang make it a little bit difficult for a larger adult to get in and out of this tent. It is also a little bulky for backpacking. You need to stay warm in conditions that include snow and wind and its extra bulkiness and weight are not a concern. You might not be as pleased with it if you are using it for warm weather camping. Weight: 3 lb. 9 oz. to 4 lb. 10 oz. Easy pack in and setup along with durability are some of the features that set the Elixir 3 apart from other lightweight tents. This tent keeps you dry in the worst of conditions. The poles of this tent are of high quality material and provide the necessary rigidity. It is spacious enough for two average sized adults and a child. This tent has some ventilation problems when being used in warmer weather. The design of the entrance flaps of the tent does not allow for ventilation underneath and tends to trap warm air where you are sleeping. Additionally, this tent is a little bit tight if one or more of the occupants are larger framed and taller individuals. You get off the beaten path at higher elevations with your children or your spouse and need something that doesn’t weigh you down. You might not be happy with this tent at lower elevations in warmer seasons. The Sundome is a spacious tent that doesn’t break your back to carry it and it is easy to set up. The spaciousness of this tent is able to comfortably sleep one or two larger framed and taller adults as well as a smaller person. It is still tolerable in weight when it comes to packing it a short distance and is pretty simple to set up. The quality and durability for the price can’t be ignored either. A complaint of the Sundome is that the design of the entrances is such that when unzipped it falls to the floor where it is apt to be damaged with coming and going in the tent. Ventilation is also an issue with this tent when camping in warmer weather. You need more room for car camping or are packing it a short distance to a remote camp site and need to sleep two adults and a child or just two large adults. You might not be completely happy with this tent when camping in warmer weather do to ventilation issues. A three person tent is sort of an odd character among tents because most families tend to want more space for 2 adults and 2 children and opt for a four person tent. Where the three person meets a need is for couples who want a little more space than a two person can provide or average sized adults who have a small child. Backpacking with a small family or a couple and a dog is possible with a 3 person tent because you can still get a lighter tent with some additional space to spread out in. When it comes to purchasing a three person tent, your main objectives for choosing it over a larger four person or a smaller two person tend to be associated with finding a balance between the two. Weight and packing space, floor and head space, and value matched with durability are all factors to take into consideration. When it comes to backpacking most people tend to choose a two person tent because of its lighter weight, but a two person tends to be a little bit less spacious. On the flip side, moving up to a four person tent tends to add a lot more weight to the backpack. Finding a three person tent that isn’t a lot heavier than a two person, but still lighter than a four person is the balance you need to find. 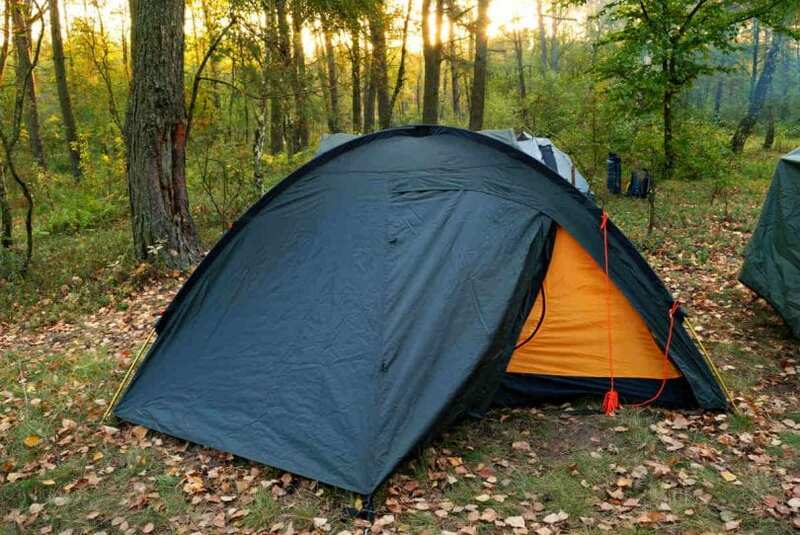 Another issue typically related to using a three person tent for backpacking is related to how much space the tent takes up when it is packed. Here again, the smaller two person will take up less space in your pack and the larger four person will take up more space. Finding a balance in packing size is another characteristic to look for. Choosing a three person tent, for most people is about space. A lot of people who use a three person tent aren’t using it for three persons, but for additional room for two persons. Those who truly need to sleep three in a tent will want to look toward tents with greater floor space, while those who are looking for a little more space for two persons might be able to fit in one that is a little less spacious. Budget always plays a role in making a purchase. Price needs to be balanced out with quality in order to be truly happy with what you have purchased. 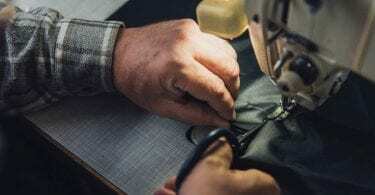 A budget tent might not have all of the features and benefits that you want, so prioritizing those features most important and getting what you pay for are factors to keep in mind. Durability becomes more of an issue with people who camp a lot. The components of your tent will wear with use. Someone who does a lot of camping will want to look for a very durable tent with longevity so that they do not have to purchase a new one every few years. On the other hand, someone who camps a couple of times a year will get a lot more years out of a less durable tent. 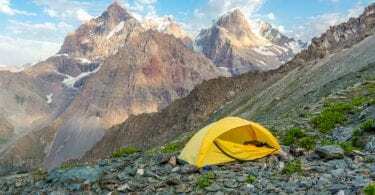 When it comes to purchasing tents that provide the quality and features you are looking for at a mid-range, you will want to look at ALPS mountaineering as a trusted brand. Because Coleman has been in the camping business for a very long time, they tend to be able to offer a decent quality tent at a lower price than most of their competitors. Lighter weight tents that are better for backpacking, but still have the design quality and construction to withstand the elements are going to be found in MSR tents, though you might have to pay a bit more to get your hands on one. I have also reviewed the best 1 person tents and the best 2 person tents if you decide that a 3 person tent is too big for you. Just click on the links above to check out the articles.